Following its relocation to the Acklam Green Centre in 2012 Middlesbrough based Simon Carson Sports Schools have rapidly increased demand for their services, growing their staff numbers from twelve to thirty eight and are now looking to increase their tenancy into a third office in the purpose built Business and Community Centre. Established 23 years ago by founder Simon Carson, the Sports School have increased their provision from originally supplying football coaching in the school holidays to offering a range of sports such as cricket, hockey, tennis and dance. Simon who founded the business after a successful career as a Professional Football scout attributes the recent growth to his relocation to the Acklam Green Centre, “Since we relocated our business to the Acklam Green Centre we have been delighted with the growth the Centre has enabled us to achieve. Our business benefits from access to the excellent sports facilities, meeting rooms and office space the centre provides and this has enabled us to create more marketing opportunities and increase our staff and client numbers. “In addition to the curriculum sessions, after school clubs and many activities we currently run in Primary Schools across the North East, we are growing our financial education programme; ‘Game of Life’ (GOAL) and we are working on exciting plans to increase our holiday club provision. Having our Head office located so close to the A19 enables us to continue to expand our business throughout the region and beyond’. 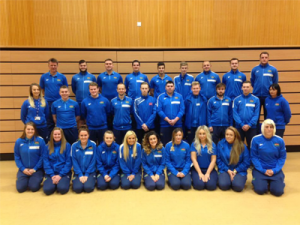 Simon Carson Sports Schools (SCSS) currently work with 1400 children every week at their After School clubs aswell as the thousands of children who are taught at primary schools during curriculum time throughout the North East. They are currently recruiting for apprentices and Sports Coaches, to apply visit www.simoncarsonsportsschool.com.